Sophisticated metallic mechanisms mounted in bodies of porcelain, on wooden socles, inspired by the luxury of Art Noveau and Deco styling. 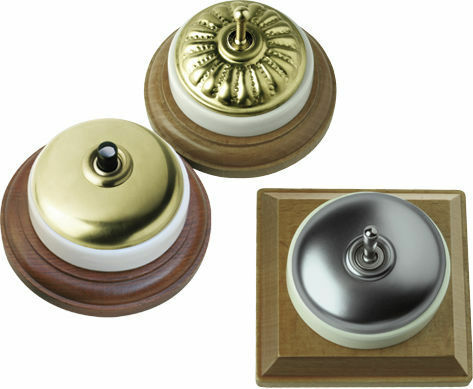 The complete range of mechanisms and accessories makes this series indispensable in the creation or rehabilitation of classic environments and surroundings. Record series combines the handcrafted processes of manufacture with the modern technology.